The Boise Hawks, in conjunction with the Chicago Cubs, have announced the addition of three players to their roster prior to tonight’s 7:05 p.m. first pitch in Everett. To make room for the trio, infielder Chesny Young has been promoted to Class-A Kane County after hitting .354 with nine RBI in 15 games. Infielders Bryant Flete and David Bote, along with outfielder Charcer Burks will be in uniform and be available for Game 2 of the series. Flete made his U.S. debut this season in Mesa, hitting .317 with seven RBI in 19 games in the Arizona Rookie League. The 21-year-old native of Venezuela hit .271 with 11 doubles and 23 RBI in the Venezuela Summer League in 2013, adding 17 stolen bases. 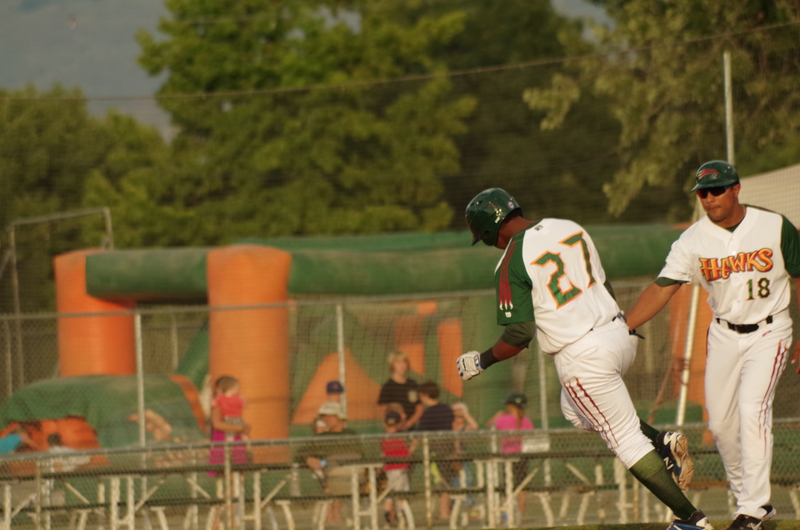 Burks, the Cubs’ ninth-round selection in the 2013 draft, was hitting .309 with a homer and 10 RBI in Mesa this summer. The Houston native hit .269 during his rookie season in the AZL, recording six stolen bases and seven RBI…was drafted out of Travis High. Flete and Bote give the Hawks six infielders on the Hawks roster and Burks is the fourth outfielder. Six Boise Hawks players have been named to the Northwest League South Division All-Star Team in preparation for the annual game to be played next month in Eugene, Ore.
Justin Marra and Rashad Crawford have been selected to start the game for the South Division team, which will be managed by the Eugene Emeralds staff. A third player, Jeffrey Baez, was selected to start the game, but will not compete as he was promoted to Class-A Kane County after last night’s 6-0 loss at Everett. Marra is hitting .304 with five home runs and 24 RBI, while Crawford is hitting .302 with 21 RBI – including a league-best five triples. Reserves for the South Division team include pitcher Trevor Clifton, infielder Danny Canela, and catcher/outfielder Mark Zagunis. Clifton is 2-1 with a 3.89 ERA in seven starts; Canela is hitting .297 with three homers and 23 RBI; with Zagunis, the Cubs’ third-round pick in the 2014 draft, hitting .341 with a homer and 14 RBI. 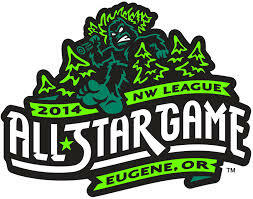 The All-Star Game is set to be played at Eugene’s P.K. Park on August 5. Hillsboro claimed the first half Northwest League South Division title last night, winning 3-2 over Eugene, while the Hawks dropped a 6-1 decision to S-K. The North Division will come down to a final day, as Vancouver and Spokane are currently tied atop the standings. Vancouver meets Tri-City at 12:15 p.m. in a must win game, while Spokane hosts Everett at 7:35 p.m. – needing a win or a Vancouver loss to earn the playoff spot.